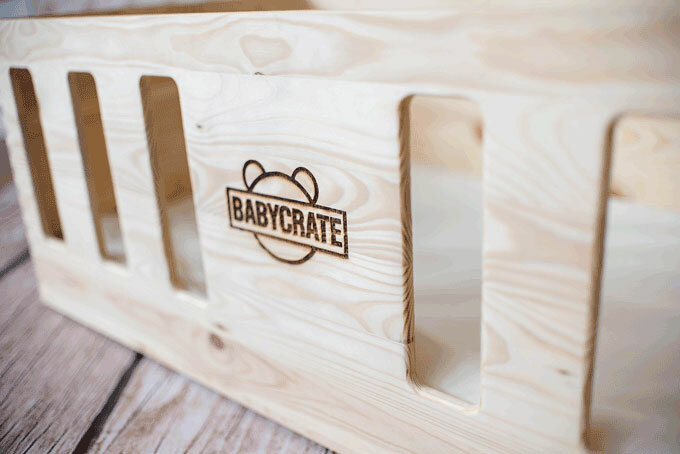 The BabyCrate all-natural safe sleep solution. 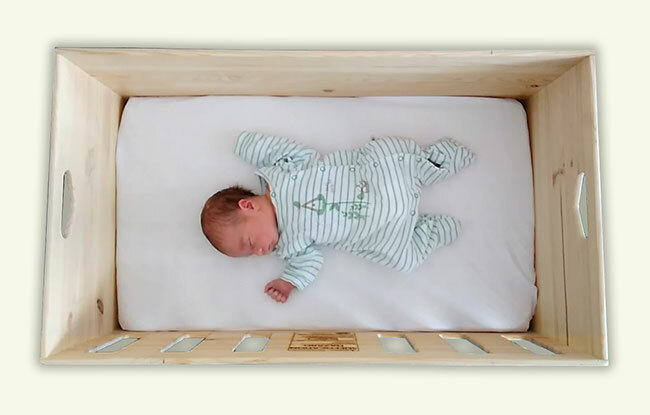 The BabyCrate is a safe place to sleep for your newborn, during the day and at night. Made from natural pine, this rugged, portable minicrib is designed according to the latest guidelines for a safe sleep place. Every BabyCrate comes with a dense natural caoutchouc mattress covered with thick and durable organic cotton poplin. Two mattress covers made of soft, GOTS certified organic cotton are also included. The low center of gravity prevents the BabyCrate from being tipped over by curious toddlers or when your child learns to pull himself up. The natural materials used prevent contact with potentially toxic synthetic substances as well as toxic off-gassing. 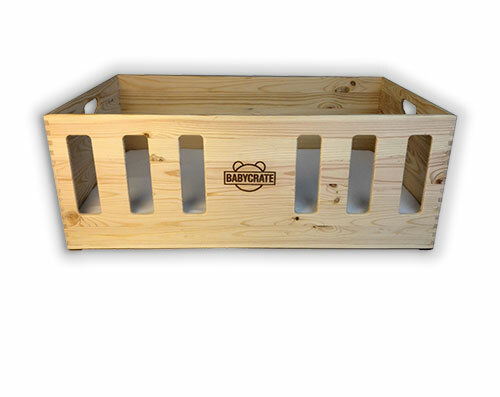 The BabyCrate weighs only 5kg and comes with practical handles. No matter where you are, in the house or on-the-go, your newborn baby has a comfortable, safe place to sleep. Once your baby can pull himself up the BabyCrate becomes an ideal as a toy box until the siblings arrive. We offer free custom engraving, popularly used for names and dedications. Just write what you would like engraved in the order notes. Note: not applicable for individualized products with custom engraving. We used the baby crate during the day and at night for the first eight months. Now it is a very attractive toy box for her cuddly toys. A lovely addition to our home.